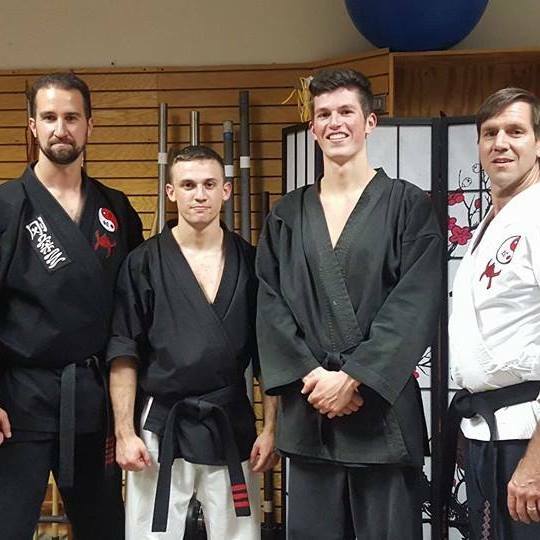 Master Nick Brummer is the head instructor at Grant County Martial Arts and is a 5th degree black belt. Master Nick has been a student at GCMA for over 17 years and is recognized as one of the premiere martial artists in the system. He is a student of precision and athleticism with a keen attention to detail. Master Rick Kells is a 5th degree Associate Master training under Elder Master Bill Leonard of Lexington, KY. Master Rick has been a student at Grant County Martial Arts for 22 years and specializes in strength and cardio training techniques. Sifu Kevin Brandenburg assists in instructing students at Grant County Martial Arts and has been a student for over 15 years. Sifu Kevin is a 3rd degree black belt specializing in cardio and cross fit training.